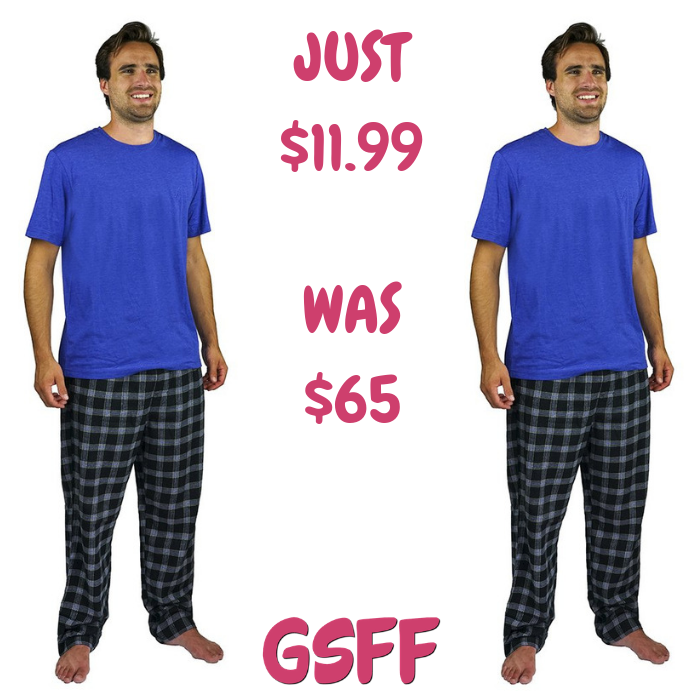 Men's 2-Piece Sleepwear Set Just $11.99! Down From $65! Shipped! You are here: Home / Great Deals / Men’s 2-Piece Sleepwear Set Just $11.99! Down From $65! Shipped! Men’s 2-Piece Sleepwear Set Just $11.99! Down From $65! Shipped! Proozy.com has this Men’s 2-Piece Sleepwear Set on sale for only $11.99 down from $65 PLUS FREE shipping! Designed for those who take lounging seriously, this pajama set teams up two of our softest styles. This good quality sleepwear set and highly rated.